Score Writer is the affordable notation software that makes recording, editing, arranging and printing your music easy, fast and enjoyable. Its simplified interface makes creating music easy and fun to learn. For band and small orchestral arrangements, lead sheets, choral parts or even simple notation examples, there’s no easier way to create professional notation than Score Writer. Creating music made easy and fun! 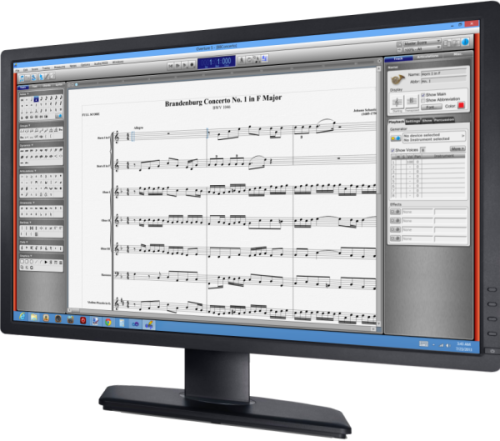 Score Writer is easy-to-use notation software that’s powerful enough for use by professional musicians and composers. Phenomenal sounding General MIDI player. A clear choice at $69 MSRP! Score Writer 5 playing Sarajevo using built in sounds. Score Writer’s single window interface puts powerful editing tools and symbol palettes at your fingertips, so you spend time composing music instead of searching through menus and dialogs. Score Writer’s main components are contained in views and panels. You can enter notes quickly on-screen with your mouse or computer keyboard or record a MIDI performance for instant viewing. Most commands can be done with one simple command directly on the score. 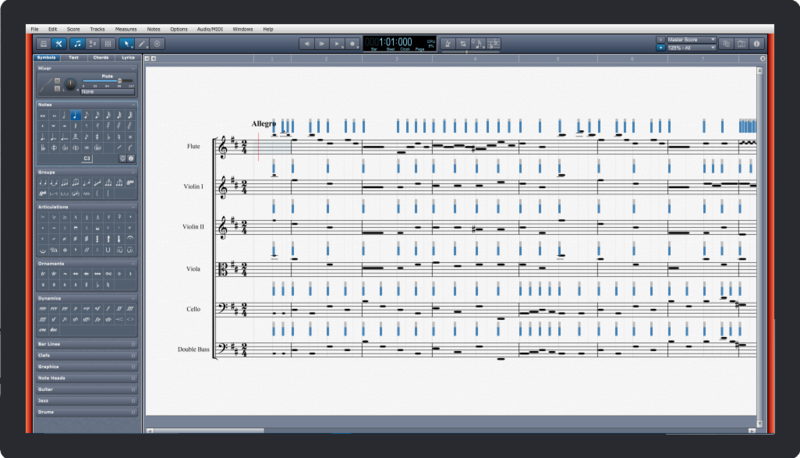 For smooth workflow, Score Writer’s panels are organized by basic function type. The panels on the left contain tools for entering Score Writers music symbols and text. The panels on the right are used to change settings for the score layout, track information, and even has a powerful drag and drop file browser for quickly loading or importing scores. Score Writer’s new touch enabled features allow you to work and navigate in ways you never imagined. Get hands-on and enjoy the fun of a touch interface. Swipe to scroll your score or close panels. Tap buttons and controls just like using your mouse. Tap and drag to control sliders and scrolling, swipe to do fast page turning, and pinch to zoom in and out. All common everyday actions can now be perform on your screen with your personal touch. 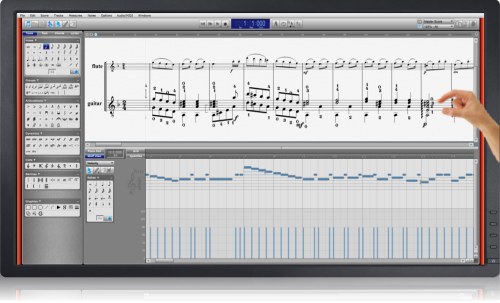 Score Writer’s incredible MIDI capabilities can be edited directly on your score. Note start times, note durations, and velocities can be changed with your mouse by simply clicking and dragging. MIDI controller data can be added or edited on your score. 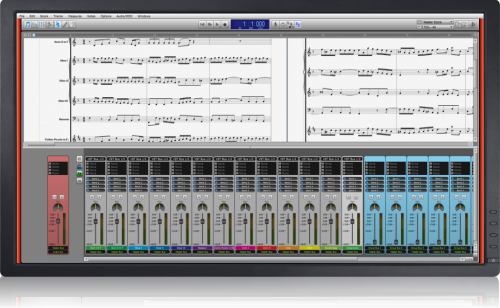 Score Writer’s Mixer view gives you the most powerful mixing features among all notation programs. Many features are modeled after popular sequencers. Score Writer’s mixer has a channel strip for each staff, each with a volume fader, stereo pan, solo and mute buttons. Each staff channel strip can send MIDI reverb, chorus, modulation, or expression, and the output sent to the master strip or one of four group channel strips. 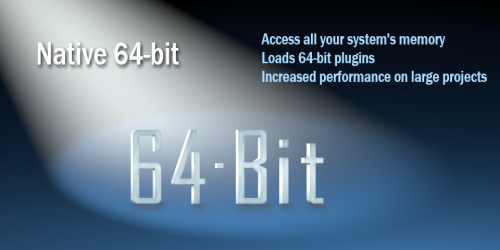 Score Writer’s 64-bit support allows you take full advantage of your computer’s memory address space over 4GB. You are no longer limited to the size of your score or what instruments you can load. And if you have an older machine or need to run in 32-bit mode we have a 32-bit version of Score Writer. Score Writer 2 – 5 are cross platform compatible and therefore can read each other’s files but previous versions can not read newer file formats.